Shopilly makes shopping a pleasure. Welcome to the Smokin’ Hot $700 Shopilly Giveaway brought to my epic readers by Char from The Epic Adventures of a Modern Mom, sponsored by Like a Bump on a Blog, with considerable help from the lovely Lexie Lane at†VoiceBoks, and Bridget at Giveaway Promote. Enjoy the post provided by our generous sponsor, Shopilly†, to learn more about them, and then enter via our Rafflecopter entry at the end. It’s a cold Sunday night, and many of you are huddled on your couches, flipping through never-ending channels on TV. You get about 400 channels, and it can be overwhelming to decide what to watch DWTS, Idol, The Voice? Luckily, your trusty DVR puts all the shows you like — and only those shows — in one place, where they wait patiently for you to catch up on them. Email is a little like TV. Every day I get tons of emails from my favorite brands, retailers and flash sites. I love getting all of that information and having so many choices, but my inbox is getting a little out of control. It’s nearly impossible to sort through the clutter to find emails I really care about, and I have to select and delete almost all of the marketing emails, always wondering whether I should opt out or stick around to see if something actually relevant lands in my inbox. But I’ve discovered that now there’s a DVR for email! It’s called Shopilly. By signing up for a free account, I can ask Shopilly to automatically pull all of the marketing emails from my email inbox and put them in a fun “visual inbox” in my Shopilly account, where I can review them when I’m ready. My inbox is totally clean; it’s like a breath of fresh air. And when the time is right for me to check out my latest offers, they’re neatly collected for me at Shopilly. Shopilly is organizing my email inbox for me, and that’s great. But it’s more than that. On Shopilly, I can also opt in to view offers from other brands I wouldn’t have discovered otherwise. The way they’re presented makes it really easy to check out all of my options and to add or remove offers from my window shop. It’s like visiting my own personalized shopping mall right from the comfort of my couch. Now, where did I put that remote control? Improve your shopping life at Shopilly today and tell us what you think at contact@shopilly.com. If you’re ready to enter the giveaway and make your holiday shopping even sweeter, you may do so below now (All entries must be completed to be eligible)! Please share this post with other people who might need extra shopping money this holiday season. Please make sure to visit my homepage and subscribe to my blog for more great posts on travel, fashion, and giveaways of things I’d love to have myself, and so much more! Feature images courtesy of Shopilly. 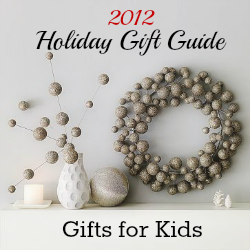 With the holidays fast approaching, Char from The Epic Adventures of a Modern Mom and Mel from Melanie OTG, are here to present our 2012 Holiday Gift Guide. 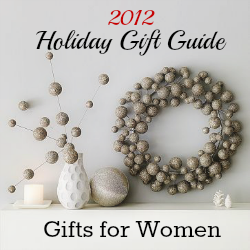 Click on the photos below for great gift ideas for the special men, women and children in your life. We have some cool products on our special features page and a couple giveaways to get you into the holiday spirit. Keep checking back from the 15th of November to the 30th, we’ll keep adding giveaways so you will get more chances to win. Don’t forget to click on the Special Features and Giveaways button to WIN!!! Diaper cakes are becoming a special feature at many baby showers these days. It’s a trendy way to present the mom to be with something practical, a gift that she can cherish. 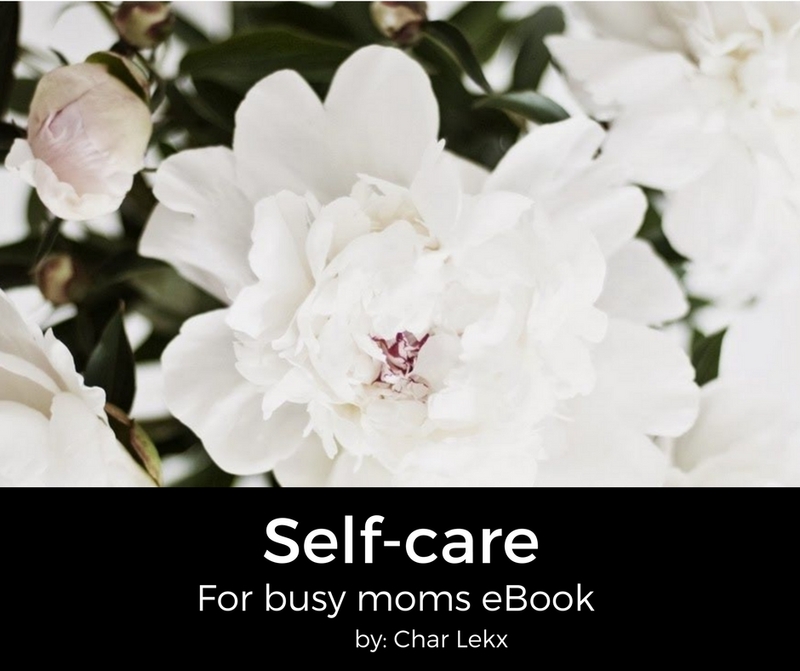 It can also be a great holiday gift for the mom to be or new mom in your life. 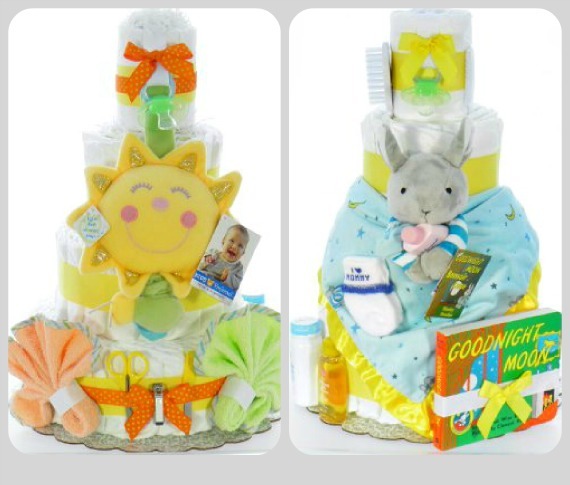 eDiaper Cakes, has a large selection of diaper cakes that features beloved children’s books and their characters like Pat the Bunny, Peter Rabbit, and The Very Hungry Caterpillar to name a few. Also, their diaper cakes are made using quality baby items like Pampers Swaddlers diapers and OXO Tot spoons. If you are throwing a baby shower for someone special or you are looking for a great gift for a friend or family member who is expecting, eDiaper Cakes would be perfect for you! Enter to win a $25 gift certificate off anything on the eDiaper Cakes website, including all sale items! To enter, fill out the Rafflecopter form below. This giveaway ends November 30th at 11:59PM EST and is open to residents of the USA. 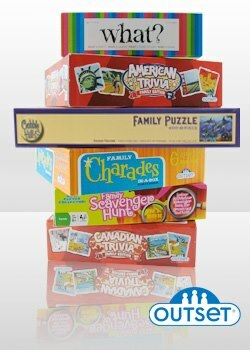 If you love to get together with your friends and play board games then you should check out the game of ‘What’. It’s a hilarious party game of who said what, where players are asked to write responses to humorous questions and situations, and everyone must guess…who wrote what. It’s a fun game for get together’s and parties and I’m excited to give you a chance to win this game and others like Canadian Trivia Family Edition, American Trivia Family Edition, Professor Noggin’s, What Bird Am I? and Cobble Hill Puzzles from Outset Media! This prize pack of games is worth $250. 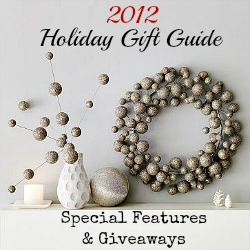 Enter this giveaway to win some great gifts for this holiday season. This giveaway ends December 3rd at 11:59PM EST and is open to residents in the USA and Canada. Thank you to Kidsumers for organizing this giveaway. Holiday shopping can be a blast for some, but overwhelming for others. That’s why Char, from The Epic Adventures of a Modern Mom and Mel from Melanie OTG, are here to present our 2012 Holiday Gift Guide. From November 15-30th, we will be featuring our exclusive Pintrest boards with cool gifts for families and a couple awesome giveaways to help you stock up on Christmas presents!